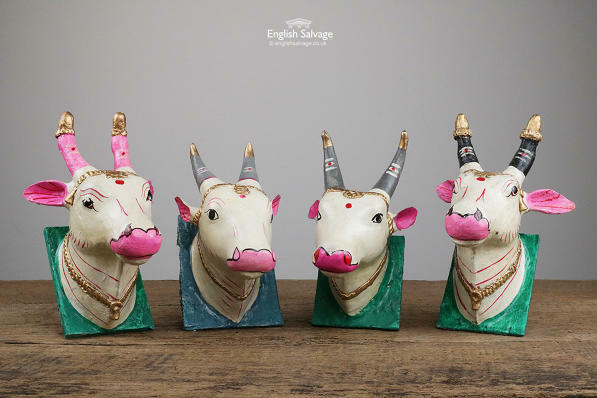 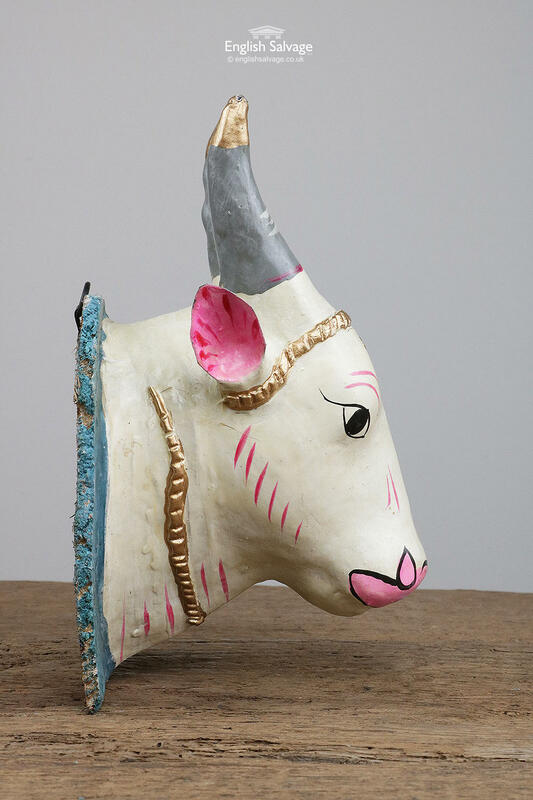 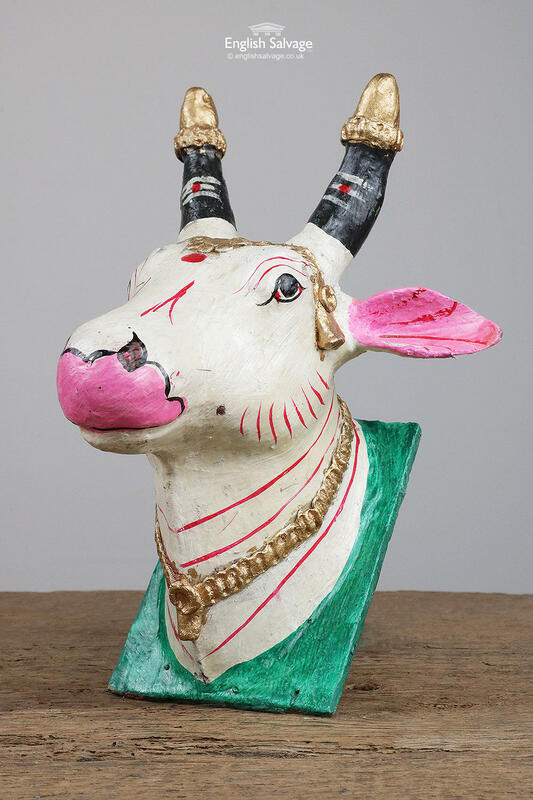 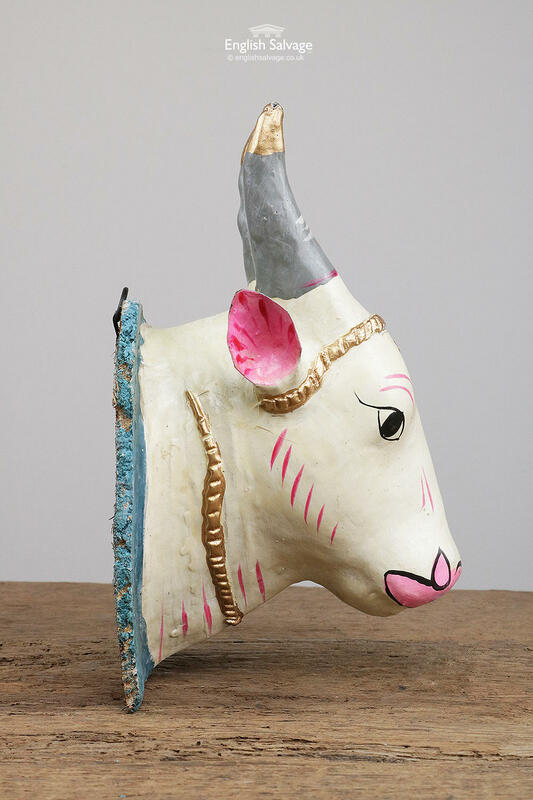 Holy cow head wall plaques reclaimed from India. 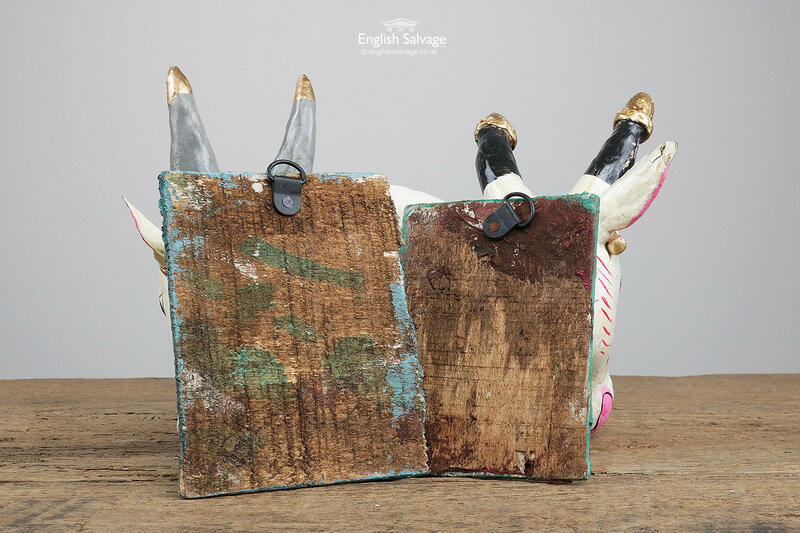 Possibly made from papier-mâché, set on a wooden backplate with a ring for hanging. Overall size of each varies 11.8 - 15.7cm wide x 20 - 23.5cm high x 12.4 - 15.2cm deep.